One of the most important ways to reduce risk and stay compliant within an organization revolves around secure access to regulated or critical data. Whether protecting state, federal, internationally regulated data or whether protecting intellectual property specific to an organization, secure access is a way to reduce risk with respect to sensitive information. 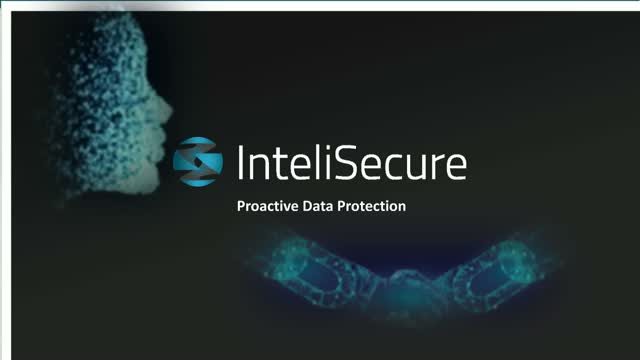 Intelisecure’s CTO Jeremy Wittkop is going talk through the technologies and process around secure access along with the process and technologies to ensure information accessed security and with the proper controls and governance in place to ensure risk is kept to a minimum. At the heart of every Insider Threat program is protecting Critical Intellectual Property from Insider risk. Intelisecure’s CTO will discuss how Insider Risk and critical Intellectual property intersect, “Combining Insider Threat and Protecting Critical IP” webinar will outline the risks associated with having a data protection program without an Insider Risk Program and what organizations can do in order to properly protect their intellectual property of from insider threats based on processes and technologies. In light of recent mega breeches originating from trusted users and trusted partners, many organizations are finding the need to understand how internal accounts are interacting with systems and data critical to the organization. Intelisecure’s CTO Jeremy Wittkop will address lessons learned from previous Insider Threat incidents, why organizations are creating Insider Threat programs, what an Insider Threat program looks like, as well as the processes and technologies which enable organizations to reduce or eliminate risk with respect to Insider Threat.